Building your credit takes a little bit of time, but it can be done successfully by following a few simple tips. Whether you are rebuilding credit, or starting from scratch, you can definitely use these same tips because they will help get you on the right track to good credit. If you are trying to apply for credit whether it is through an auto loan, credit card, or other type of credit, you may want to check your credit report to make sure that the information listed is correct. If this is your first time applying for credit, you may want to check it just to make sure that there is no false credit in your name. Either way, you can use various credit reporting agencies for free to access your credit report. Any small mistake can really damage your credit for many years to come. If you do not pay any of your bills on time, it will really defeat the purpose of trying to build or even rebuild your credit. FICO is not the only credit reporting agency out there being used. PRBC is very good with reporting rent and utilities. In order to get a good report from PRBC, you will need to make sure that everything is paid on time all of the time. You should get into the habit of paying bills as soon as they show up whether it be through the mail or electronically. If you do not have any credit, or you are trying to rebuild credit from a recent bankruptcy, secured credit cards may be your best bet. It is hard to get any type of credit with little or no established credit history already. Secured credit cards are a really good start. 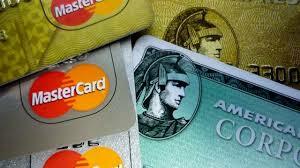 Secured cards are all tied to collateral unlike unsecured credit cards that do not have any collateral. Your credit limit will be equal to whatever balance you have in your checking account with your secured card. You will use these as if they were a real credit card, making payments and building your credit. A co-signer may be a really good way to get what you want but with the help of a person that already has established, good credit. This will help to build up your credit because even though you have another person listed on the credit, it will be reporting to yours as well. You should also be aware that both parties are now held responsible for the loan, or credit. You should also consider sticking to a family member or someone that already has a demonstrated relationship with you. Retailer credit cards are seen as training wheel credit cards because they are a lot easier to get than unsecured credit cards. You can try applying at places such as Macy’s, or Target. The only thing you should be aware of is even though it can help to build credit, they do not carry as much weight on your credit report like a regular credit card does. This can be a big help because it can definitely open up the doors for a much bigger advantage, and it can help get your feet wet in the process. All of the above tips can and will help you to get on the right track to building your credit. Remember everything gets reported on your credit and your choices will have a very big impact, so choose wisely. Joseph Francis is a professional blogger that provides information and advice on stores for title loans and title pawns. He writes for TitleMax, a title loans store with locations nationwide.